The Tasty Treats at WDW! Okay, so there is NO way I could eat all of the treats at Walt Disney World! There are just too many to choose from sometimes. But, I have had a few that have really stood out! So, I am going to share a few of those with you! First up, is the absolutely delicious and very rich Butterfinger Cupcake served at Starring Rolls in Disney’s Hollywood Studios! 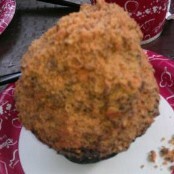 The cupcake was moist and soft while the topping had the taste and crunch of a Butterfinger candy bar. It was quite a mix of flavors on the tongue! It is a very rich cupcake and could easily be shared by two or three people. Next, is the Cinnamon Roll at The Magic Kingdom! The roll is gooey and fresh! The taste of cinnamon is nice and strong, for a true cinnamon lover! And, the icing completely covers the roll and even consumes the plate! The only one I have had, to date, is the one from the Main Street Bakery (now a Starbucks). It is my understanding that you now must go to Gaston’s Tavern and that the icing is a different flavor. I must get this on my next visit! And, one more, just because it is my current FAVORITE treat! It is a bit pricey, but OOOOOHHHHH So Good!! Ladies and Gentlemen, I give you, the No Way Jose’! 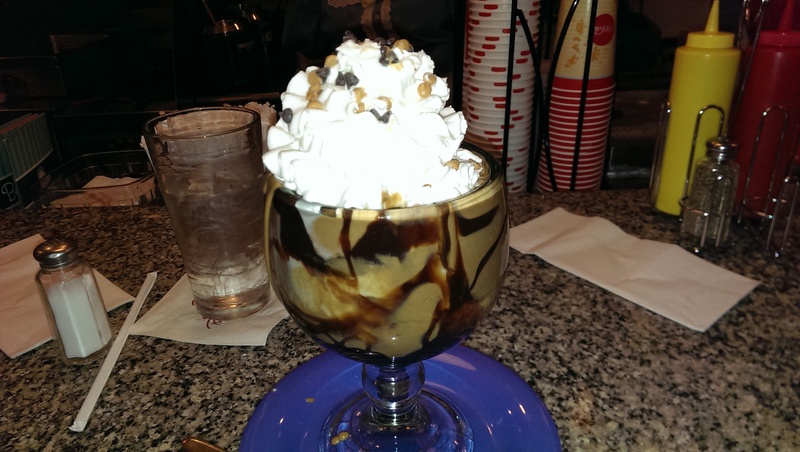 This wonderful creation of Ice Cream perfected is found only at Beaches and Cream, at Disney’s Beach Club Resort! If you LOVE Peanut Butter, (and I do! ), you will love this huge sundae! You may want to plan on it being one of you meals! Keep in mind, however, that Beaches and Cream now requires an ADR for sit-down service! There are many, many, MANY more treats to talk about! Such as: Disney Parks Popcorn, Mickey Ice Cream Bars, Mickey Krispy Treats, and anything from the Goofy Candy Co., but that is for another time! Please feel free to share some of your favorites in the comments section below! And, as always, have a Blessed and Magical day, my friends!! 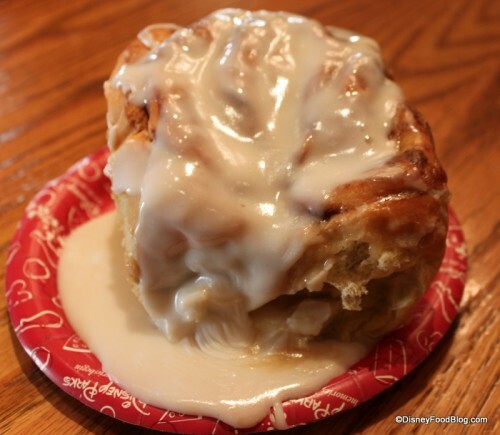 Author threestrandswdwPosted on 08/30/2014 Categories Disney Destinations, Disney's Beach Club Resort, Disney's Hollywood Studios, Magic Kingdom Park, Walt Disney WorldTags Magic Kingdom Cinnamon Rolls, No Way Jose, Starring Rolls1 Comment on The Tasty Treats at WDW! Is The Freeze On For Norway at WDW? As you may have heard by now, the Norway Pavilions in the World Showcase at EPCOT may be going under an extended refurbishment during the off-season. What does this mean? That is the question that many in the Disney community is wanting an answer to, and quickly! There has been some speculation that Maelstrom may receive a FROZEN overlay, others think it may be completely turned into a FROZEN attraction. Still others are hoping that it will be a simple update, with some fresh paint and a few screws tightened up. What I have heard, is that the country of Norway has ceased any support for the pavilion from a financial standpoint. I hope that the officials of this beautiful country decide to help supplement any refurbishment that may take place, if they hope to have a say in what type of changes might be made. Otherwise, there may be a bit of Sven and Olaf in the place of some of the Vikings! It is only my opinion, at this time, but I think that FROZEN should NOT be a part of the Norway pavilion, as I believe it cancels out the original ideas of the Disney Imagineers in presenting something about the cultures of the countries of the World Showcase! I like Maelstrom as it is! It is a bit of a unique experience, and I get chills when I see the scenes, as portrayed, in this attraction that allows me to see just how beautiful this land is, and the hard work it has taken to make Norway the country that it is today! 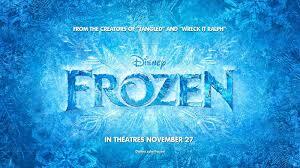 So, where should FROZEN go? 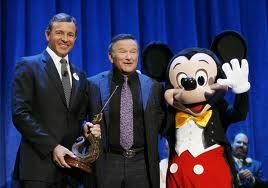 I truly think the best place would be at Disney’s Hollywood Studios! With the closing of the American Idol Experience, one has to wonder if the success of the Frozen Summer Fun may be getting a more permanent venue? Makes sense to me, but at this point, we will just have to see how it all comes together! For now, we’ll just sit back, and see what develops! If you have any thoughts, please share them in the comments section below! Thanks for reading and may you have a Blessed and Magical day, my friends! Author threestrandswdwPosted on 08/21/2014 Categories Disney Destinations, Disney memories, Disney World Trip Planning, EPCOT, Walt Disney WorldTags Disney Theme Parks, Disney World Refurbishments, Disney's Hollywood Studios, Frozen, Maelstrom1 Comment on Is The Freeze On For Norway at WDW? The Tomorrowland Transit Authority Peoplemover reopened this week with a new color scheme! It isn’t complete, yet, as the Astro Orbiter is still under refurbishment which effects part of the TTA’s theming and appearance. But, at least one of My favorite attractions is back in business! Frozen Summer Fun is getting an extended stay at Disney’s Hollywood Studios! The fun will continue through September 28, 2014. Premium Packages are available Fridays, Saturdays, and Sundays only! The cost is $59 for adults, and $34 for kids! The cost includes tax! Magic Kingdom first aid is moving on Sunday, August 10! The temporary location is at a lounge near Space Mountain. No word on why or how long this relocation will be needed. Move It! Shake It! Celebrate it! will be touring Main Street U.S.A. in the evenings only at 5:40p and 7:00p while some concrete work is being completed during the day. The dates for this work are August 12, 13, 19, 20, and 29. At Disney’s Animal Kingdom, the It’s Tough To Be A Bug refurbishment is going to take a bit more time than expected. Originally scheduled for July 7 – August 11, it is now scheduled to reopen on September 28. And, finally, Bob Iger said in an interview this week, that there WILL BE a stronger Star Wars presence in the parks in the U.S.! But, of course, there was no discussion of a timeline for this presence to be revealed! I don’t mind that Disney takes it’s time to get attractions up and running. I think they have more of a do it right attitude! But, it’s already been years! How about a bigger bone of information? I hope you enjoyed reading, please come back soon! Or, better yet, follow this blog! Have a Blessed and Magical Day, my friends!! A few weeks ago, Walt Disney World decided to limit the stand-by line at Anna and Elsa by giving guests a piece of paper with a return window time printed on it. You are given something that resembles the classic Fastpass that has a 30 minute window to return to the stand-by entrance and meet the Frozen royalty! A week or so later, the same type of system was introduced for stand-by guests at Soarin’. It, too, has a 30 minute window for re-entry to the stand-by queue in time to get your flight! This week, WDW has introduced this line reducing strategy at the Be Our Guest restaurant for lunch! You report to the entrance of the Stand-by queue, a Cast Member gives you ticket timed for a specific return. Once all of these Fastpass type tickets have been distributed, a sign stating that there is no more stand-by seating for the day will be put in place! 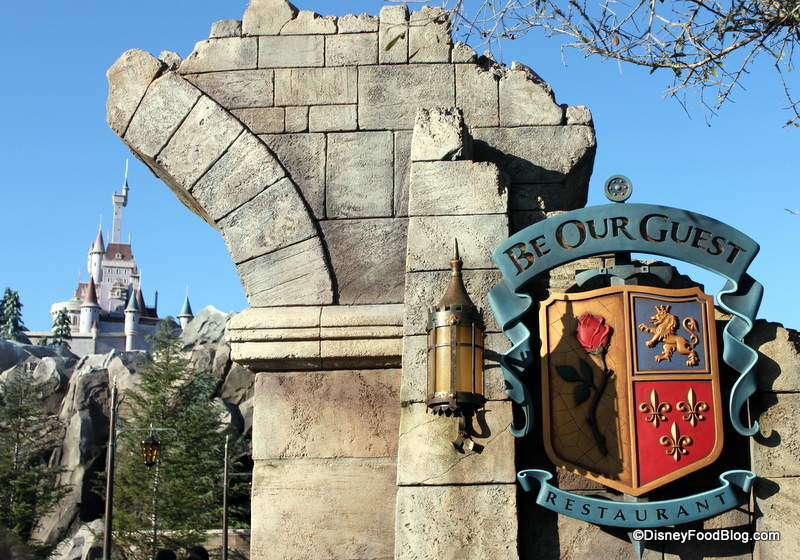 So, there are now two primary ways to eat at Be Our Guest for lunch!! Either, you are one of the blessed on-site guests who get the email invitation for Fastpassing Be Our Guest, or you head Stand-by line and hope to get a lucky ticket! In my mind there is an advantage to these attractions being managed in this manner. Instead of standing in a queue for as much as three hours, you can use that time to see some other attractions and shows! It may require moving a few things around, but if these are things on your Must-Do lists, it may be worth the adjustments! Enjoy your weekends!! And, have a Blessed and Magical Day, my friends!